The Pull List: Avengers, Death of Love, Detective Comics, The Flash, Paradiso, Sideways, & more! 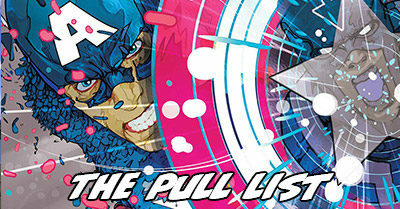 I’ve managed to one-up last week’s edition of The Pull List! This week, the list is a whopping 27 issues deep – one more than last week. However, its also a tick worse, with an aggregate rating of 3.055 compared to 3.17. 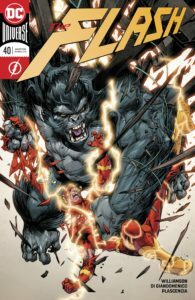 I have never before been so viscerally scared of Grodd. He is utterly terrifying here, and I was really concerned that we could be seeing the end of Flash at multiple points – and, in a way, we did. Joshua Williamson is proving that he is one of the best writers in the business with this constantly thrumming plot that has been building non-stop rising action for 40 straight issues. While you could easily jump right one with every arc, each of them builds off of everything that came before. That means this run has notched itself as the third or fourth best extended Flash run of all time in under two years, and it shows no immediate signs of stopping. Ivan Plascencia. This issue includes some of the most inventive action paneling I can think of reading in recent memory. The paneling of Avery catching the lighting rod is breathtaking. An A+ book through and through, with a thrilling final moment. There’s no denying the craft, power, and charm of Giants. For a third issue in a row The Valderrama Brothers. turn in a beautiful, action-packed comic full of heart. We begin our story with Zedo, the boy left for dead who is now making a cavalier power-play to control the gangs of the underworld. Only a child could see things as so black and white, yet both in the last issue and here he is making vicious choices that he can’t take back. In stark contrast, Gogi has found a group of other children who are necessarily tough but still enduringly kind. Their acceptance and willingness to give without asking anything in return is alien to Gogi. At first he resists it, then he resents it, but finally he understand that’s it’s easier to live openly then be on guard and full of distrust. Gogi’s journey from underground child to hero in the wider wider stands in stark contrast to Zedo’s dark turn at the end of this issue. Neither boy can entirely blame fate, nor can he say that the choices were all his own. That makes Giants a powerful allegory for the role of environment on our lot in life. We might not all be fighting giant monsters, but we’re frequently either the child who ran away or the child that was left behind. 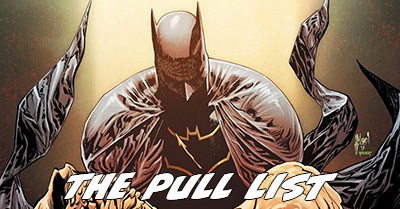 [Read more…] about The Pull List: Avengers, Death of Love, Detective Comics, The Flash, Paradiso, Sideways, & more! The Pull List: Babyteeth, Black Bolt, Captain America, Crosswind, Giant Days, and more! What did I read this week that was newly released and wasn’t X-Men? I’m still a long way off from being caught up to all of present-day Marvel, so I have to choose my battles – reading series that are in the early stages of their Legacy numbering or have few enough issues that I can catch up all the way. A handful of indie series I follow (one only begrudgingly) also dropped this week. 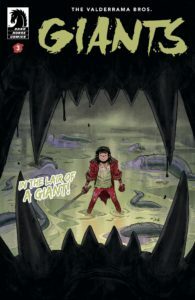 Exit Stage Left: The Snagglepuss Chronicles (2018) #1 [Read more…] about The Pull List: Babyteeth, Black Bolt, Captain America, Crosswind, Giant Days, and more! Each year, a mysterious and intrepid comic book fan known only as Tigereyes reaches out to some of the biggest collected editions communities on the web to ask them a single question: What are the top 10 Marvel Omnibuses you’d most like to buy? Thus, the Most-Wanted Marvel Omnibus Secret Ballot was born. While we only get to see the top 50 or so results of the survey each year, based on the number of voters it’s entirely possible that there are over ten times that many omnibuses nominated by voters. The long tail of the survey would make not only for interesting analysis, but terrific rainy-day reading. To help inspire that long tail as well as your own rainy day reads, I’m covering dozens of Marvel runs that would make for terrific omnibuses. For the past four days I highlighted every potential missing X-Men omnibus from 1963 to 2015. Now, I’m going to stroll backwards through time to look at the rest of Marvel, starting with their newest comic runs released from 2012 to present. The fact that these books aren’t currently omnibuses (and may never be) doesn’t have to stop you from sampling them – even if you’ve never read a comic before in your life! Each one is a terrific self-contained comic experience that can be enjoyed without any crossovers or companion series. You can either pick up existing collections as outlined by Crushing Comics’s Guide to Collecting Marvel Comic Books, or just sign up for Marvel Unlimited, a Netflix-for-comics where 100% of the issues from today’s post are available to read on any device.